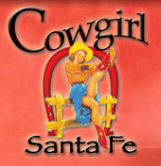 Cowgirl, located at 319 S. Guadalupe St. Santa Fe, NM, is bringing the Kenny Skywolf Band to entertain and delight patrons from 2-5 p.m. Saturday, Dec. 29, 2012. 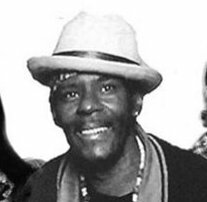 Kenny Skywolf plays an all-original eclectic blend of old Delta and more contemporary DeltaBlues, Rock 'n Roll, Soul, Funk, and Reggae, which has developed into a style he can call his own. Some of his major influences include legendary blues masters such as Muddy Waters and Elmore James, and relative newcomer Keb' Mo'; R&B from various artists and musical eras; Rock & Roll from the '50s to the present; Soul music through all its evolutions; Funk from the '80s; and Bob Marley and his Reggae.